Dino Blast beverage plates for your kids dinosaur themed birthday party. It is a party time! 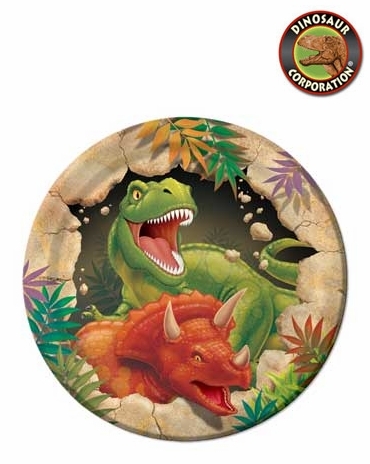 Featured dinosaurs on Dino Blast Beverage Plates are T-rex and Triceratops.